After 13 years of practice as a Registered Dietitian, I might finally start using Canada’s Food Guide as a trusted tool and resource. 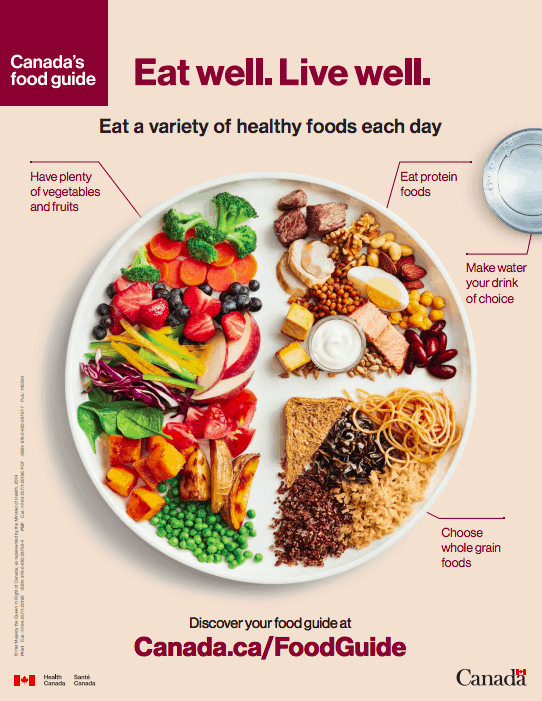 Since I became a Dietitian in 2006, I’ve resisted ever using Canada’s Food Guide as a resource or tool in my practice because I disagreed with so many of it’s messages and teachings. 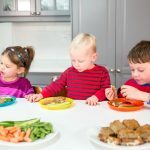 Everything from the global but prescriptive serving size recommendations, to encouraging refined carbohydrates, to the inclusion of fruit juice in the vegetables/fruits food group, I disagreed with most aspects of our national food guide. 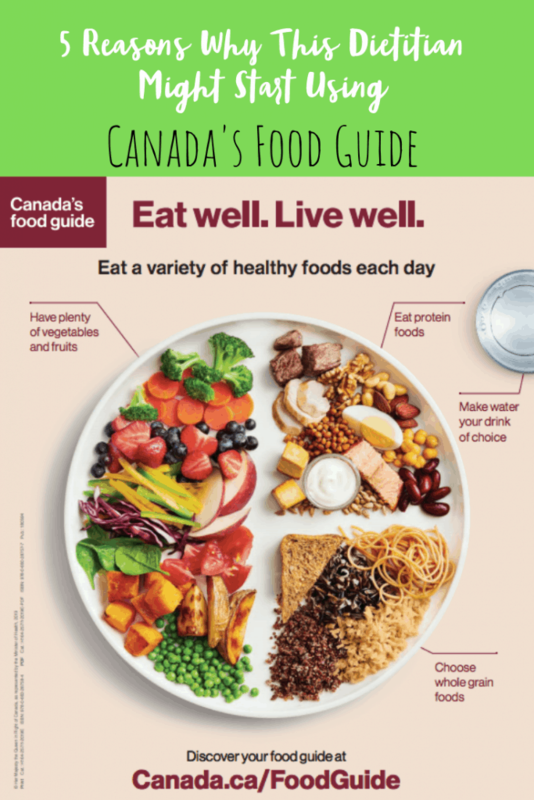 The new 2019 Canada’s Food Guide was unveiled today, and although I was quite skeptical about whether the changes to the guide would be overly impressive, I’m…overly impressed! That’s right — there’s no more recommendations on serving amounts or sizes in the Canada’s Food Guide. This makes me very happy, as the serving recommendations were confusing, and left people thinking that they had to weigh and measure their food, and meet a “minimum serving” amount for each food group. This didn’t make sense and added pointless pressure to reach a certain number of servings (and likely contributed to overeating). Everyone is different, has different preferences and nutritional needs. 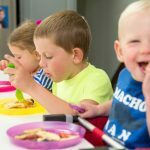 This new version allows for more mindful eating practices, and personalization. You all know that I’m a huge fan of legumes such as lentils and beans, so it’s no surprise that I’m impressed with this recommendation. Encouraging Canadians to focus more on plant-based sources of protein is beneficial for many reasons. 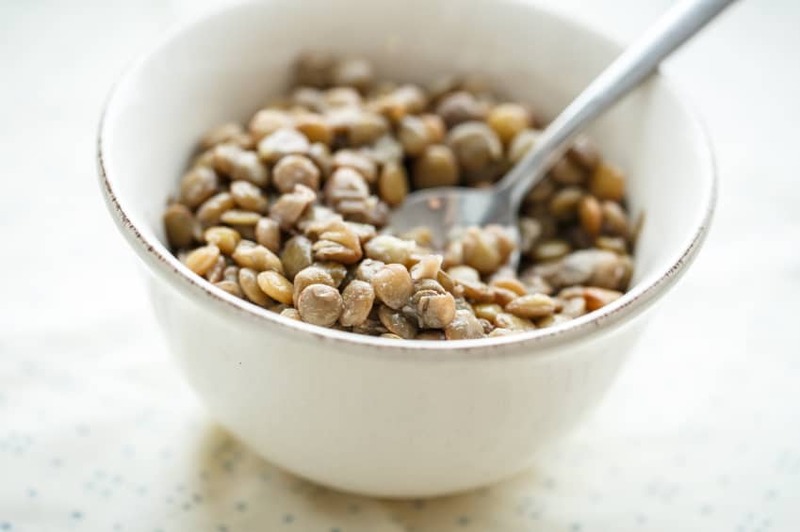 Nutrition-wise, plant-based sources of protein such as beans, lentils, peas, nuts, seeds, tofu, etc. tend to not only contain protein, but also dietary fibre, vitamins, minerals, antioxidants and are low or free from saturated fat. There’s plenty of research to support the health benefits and health-protective properties of plant-based foods, so this is an excellent addition to the food guide. They’re also cost-effective, versatile, easy, and accessible. 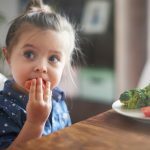 Although the food guide doesn’t necessarily discourage consumption of animal protein (because there are also many benefits to meat, poultry, fish, eggs and dairy), it highlights plant sources, which at this point, most people aren’t consuming enough of. This one made me do a big double fist pump. I love that 100% fruit juice is no longer part of the vegetable and fruits category — it should never have been in there in the first place. 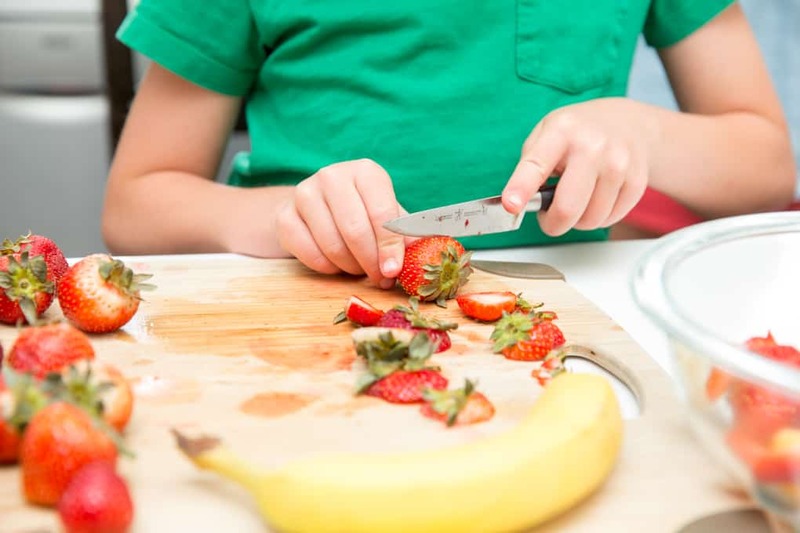 100% unsweetened fruit juice contains as much sugar as regular pop/soda, so it’s certainly not something we should be encouraging as health professionals–especially when it comes to kids. In my house, juice is a once-in-awhile beverage, and is usually heavily diluted with water. Once in a while, at a birthday party or for fun?? Of course! But, juice lacks the fibre that whole fruit does, so it’s not as filling and doesn’t offer as much nutrition. 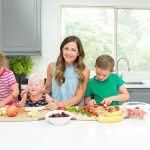 What I’ve found in my practice over the years, is that parents think of juice as a healthy fruit or veggie alternative – something to give them peace of mind knowing that their kids are getting at least some fruit/veggies into them. And having it as part of the vegetable and food group in the old Canada’s Food Guide likely encouraged this thinking. Needless to say, I’m incredibly relieved that the new Food Guide has removed it. The new food guide now encourages water to drink, which I’m thrilled about. It’s also taken sweetened milk (like chocolate milk) out, which makes a lot of sense to me too. Once in a while? Sure. But not as a mainstay to get your calcium in for the day. The new Canada’s Food Guide encourages consumption of healthy fats coming from avocado, nuts, seeds, oily fish, oils and soft margarine. Now, the last one on the list I’m not a huge fan of, but the others I am. Instead of taking a fat-phobic approach like the old food guide did (which we know is archaic and based on bad science), the new food guide encourages the inclusion of healthy fats, and doesn’t limit the amount of overall fat consumed per day. For reference, the old food guide recommended 2-3 tablespoons of vegetable oil daily, which was a ridiculous recommendation, considering the fact that most people are not going to carry around a tablespoon with them to measure out every little bit of oil they consume. And what about fat from other sources?? This version is so much more practical. 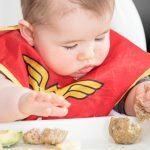 The focus is on healthier fats–eat oily fish, have some avocado on your salad, sprinkle some nuts and seeds on your oatmeal–which makes sense to me! And it will most certainly make more sense to most Canadians. The new guide also recommends limiting unhealthy (saturated) fats coming from processed foods, baked goods, high fat dairy products, high fat and processed meats, deep fried foods, butter and lard. This seems reasonable to me and makes sense. 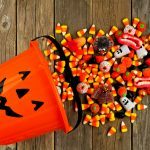 Enjoy these foods sometimes, but limit them. 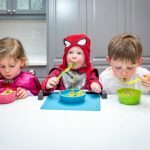 In most of the content that I write, and certainly in my nutrition counselling practice, I talk a lot about “mindful eating”, enjoying and savouring your food (and encouraging your kids to do the same), cooking more often and the importance of family meals. Food is not all about nutrients and health benefits, it’s also at the centre of many cultural and social human experiences. 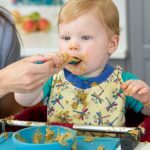 This new food guide highlights the importance of eating as a family or with other people, eating less processed foods and cooking from scratch more, and enjoying and savouring the food we eat. 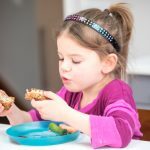 I’m hoping this encourages more mindful eating practices, and cooking as a family. Overall, I’m thoroughly impressed with the new food guide and it’s changes. It’s not perfect, but it’s a long-overdue move in the right direction. And it’s nice to know that I can now feel good about using it now and then as a teaching tool in my practice and writing. 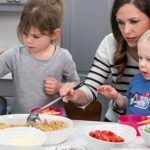 What do you think of the new Canada’s Food Guide? So far all I can find is a few eye-catching and feel-good graphics on the Health Canada website. Is there a PDF with more detailed information? If so, can you please post the link? Yay for a new and improved food guide! It looks really delicious. I want to do it. Thanks. 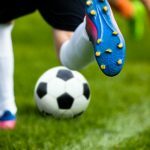 Great breakdown of the guide! Thanks for sharing! Thanks so much for sharing! I’m so glad to see the changes! All of these changes sound great! I must say, I too like to hear letting go of portion size because it can be so variable for each person! This is so insightful! I had never even thought about other countries’ food guides before now. I think we can definitely take some of these recommendations and apply them to our own lives. Love that water made it to the plate! Always love to see what’s new on the guidelines besides the U.S!